BulletproofTM Collagen Protein comes from grass-fed, hormone-free cows that spend their entire lives in the pasture. 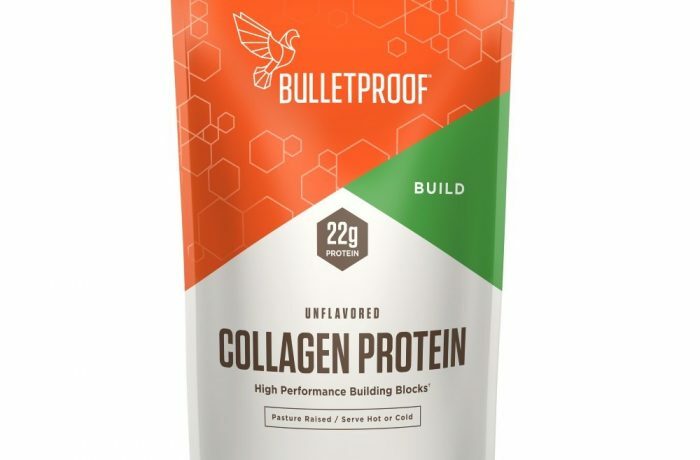 And unlike cheaper collagen that can end up damaged by heat, Bulletproof Collagen is enzymatically processed several times to leave its nutrition-giving peptides intact. That makes it highly bioavailable (for maximum nutritional potency) – giving you a neutral-tasting, odorless protein that doesn’t thicken or clump. Bulletproof Collagen does not contain any dairy, egg, sugar, corn, yeast, wheat, soy, gluten, artificial flavors, or preservatives, and our collagen source (gelatin) has been concluded to be GRAS (Generally Recognized as Safe).